Categories: Sold Items, Sold Rings. Here is such an elegant and timeless designed antique diamond engagement ring that sits so well on the finger and one that will always be loved. 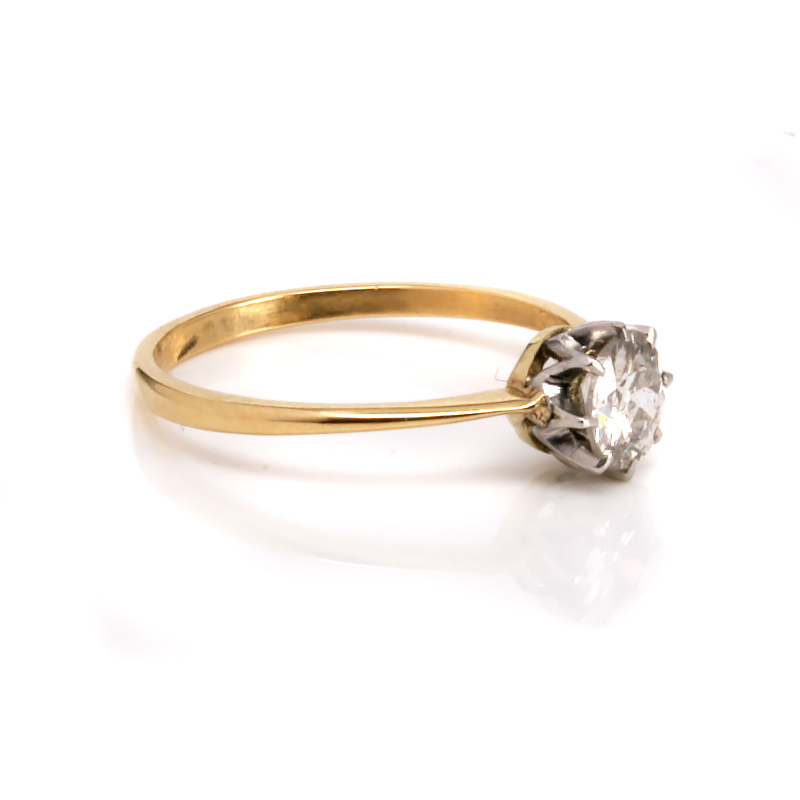 Beautifully hand made in 18ct yellow gold and platinum in the early 1920’s, the ring is set with a European cut diamond. This cut of diamond was the early form of the round brilliant cut diamond today with the same amount of 58 facets but with slightly different angles. Measuring 0.52 carats and H in colour and Si in clarity, the sparkle is just wonderful and combined with the charm of being a hand cut diamond gives it that extra appeal as well. Measuring 6.4mm wide the design of this ring lends perfectly to accommodate a wedding band along side to compliment the ring even further. 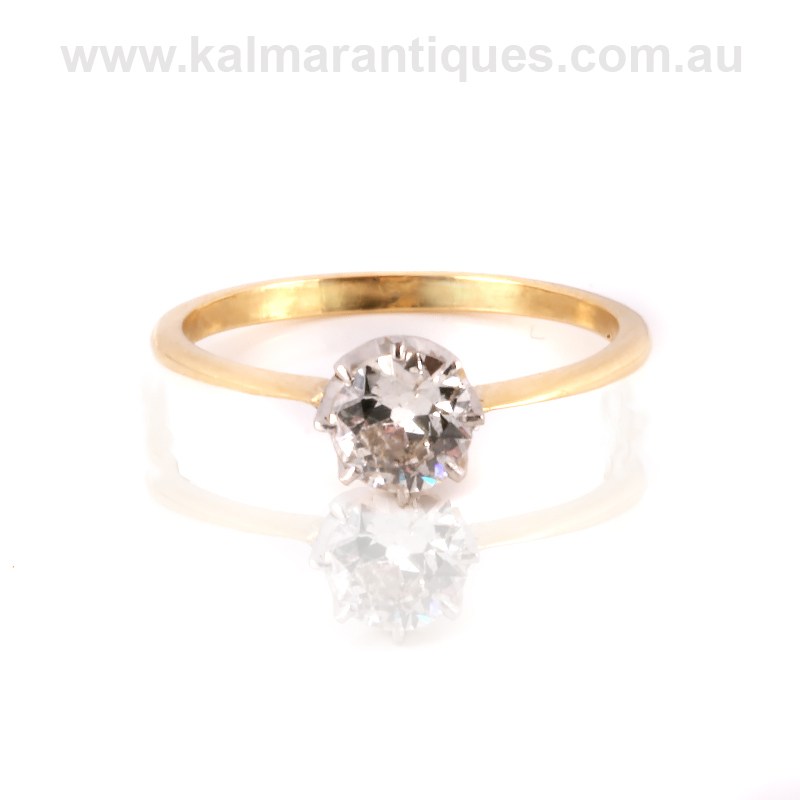 There is something quite special about genuine antique European cut diamonds, and put them in an genuine antique setting then you truly have a winning combination. Tag: Antique diamond engagement ring.